Welcome back from reading week! It’s not too late to start a term study plan. 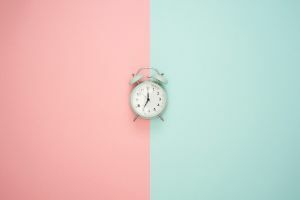 There are a million Time Management articles and techniques. Queen’s SASS is a fan of the 50/10 Study/Break System. I love the Pomodoro technique. Time management is a useful tool but without knowing what you need to do with that time, a time management system is pretty much useless. Which brings us to study plans, and I don’t mean the 5-day exam cram. If you want to reduce anxiety, stay on top of things, but still have flexibility to go to that last-minute party, you need to plan. Predetermine what you will work on in your time management work blocks: summary notes, assignments, labs, editing, research, or studying. Psychology studies show that a detailed plan improves following through and time use. A block of time labelled “Neuroanatomy” isn’t going to tell you what tasks still need to be done, or how far along you should be in your essay. But a block of time labelled “Neuroanat chapter 11 notes” is going to improve the chances you will stick to your plan. This is all well and good but how do you know what you need to do each week? Many distance students adapt their business planning and project management tools from work to their academics. A visual task schedule gives me a general idea of what I need to be working on each week, when to start papers, and where overlapping class assignments are going to cause a time crunch. Building the visual schedule from a template and your timeline is quick and easy. I can also see that one class is heavily loaded at the end of term (culminating assignment), one is balanced through the term, and one is heavy mid term. From this, I build my weekly layout with specific tasks assigned to time blocks, so that it doubles as my daily study plan. As soon as I have enough information on an assignment, I make a workback schedule for it by plugging research, drafting, and revising time into the weekly schedule. Deliverables are in orange at the top of each day and when they are complete, I change them to green. Orange time block are external things I cannot move – work, appointments, and commitments. Grey blocks are for social events. My weekly plan also serves as an audit tool, so I can see where I tend to overdo how much time I spend on an assignment, or how long administrative tasks (applying for Letters of Permission, registration, asking for referee letters, and grant apps) really take. Student Academic Success Services has a bunch of term and assignment planning tools here. You can also find templates through excel, google docs, or commercial study apps (some are free). Planning ahead gives you flexibility, peace of mind, and motivation. Try it, I bet you’ll like it.